Uri-Pan provides a convenient and accurate method of collecting and measuring urine output. 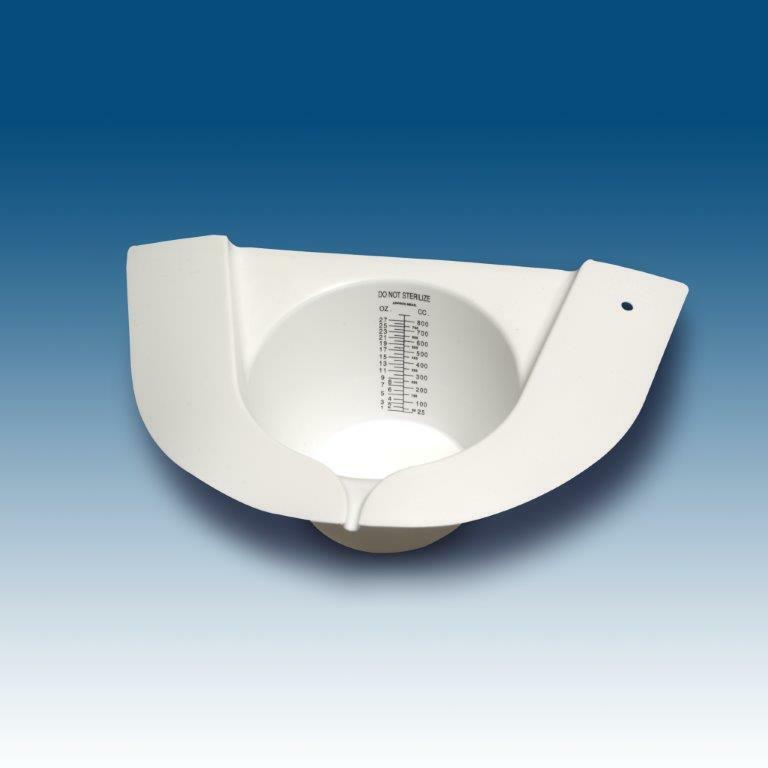 Easy to Measure - Especially easy to measure small amounts of urine due to convex bottom. Back to Back Collection - Uri-Pans may be placed back to back in toilet bowl to allow simultaneous collection of stool and urine.